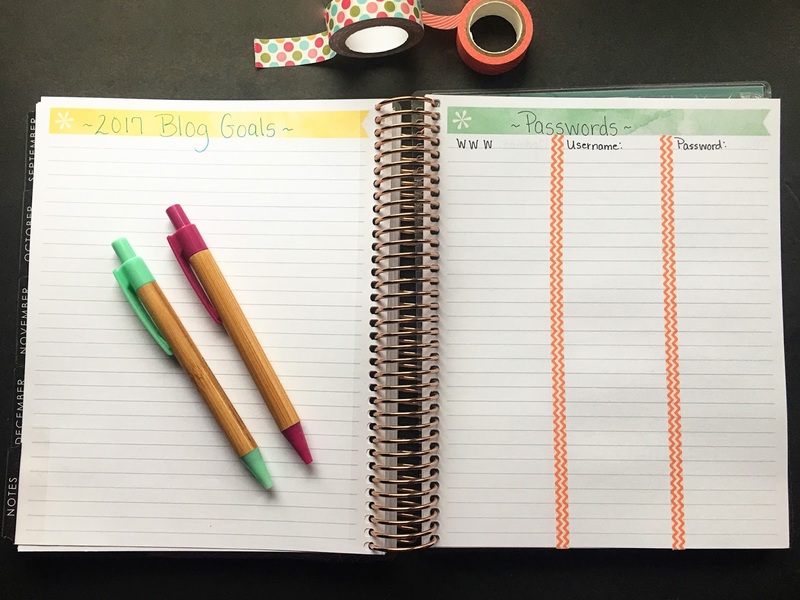 You may remember around this time last year I published the post How To Turn Your Happy Planner Into a Blog Planner. I've had several people say they enjoyed the post, and requested an updated version. 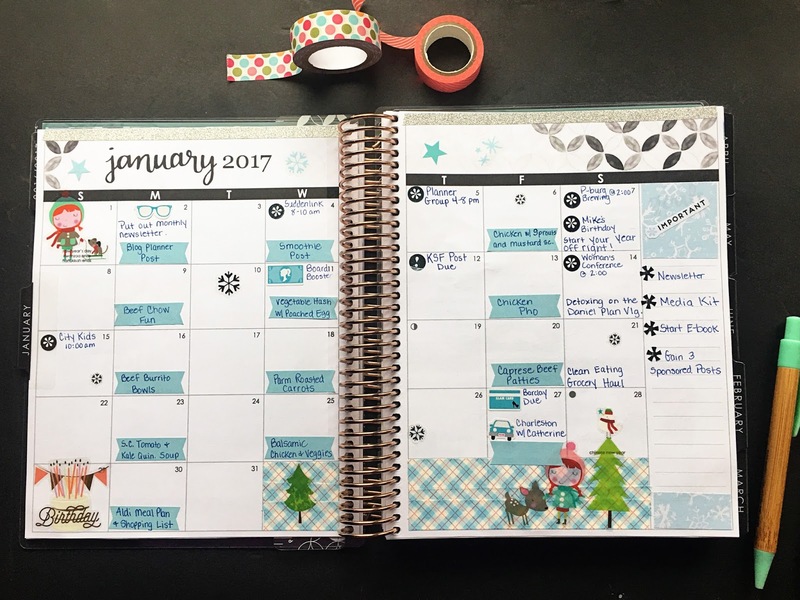 I've changed a few things around since then, so I thought I would share with you my new system using my Erin Condren LifePlanner. Last year I mentioned that one of the reasons I switched from the Erin Condren LifePlanner to The Happy Planner was the price. The base price of the Erin Condren is around $50 and goes up from there depending on any personalizations you choose. The Happy Planner starts at around $30, but you will need to purchase extension packs to make it really work for you. I'll post links below for you to check both of them out. So with that being said, there are two reasons that I chose to switch back to my Erin Condren. 1. 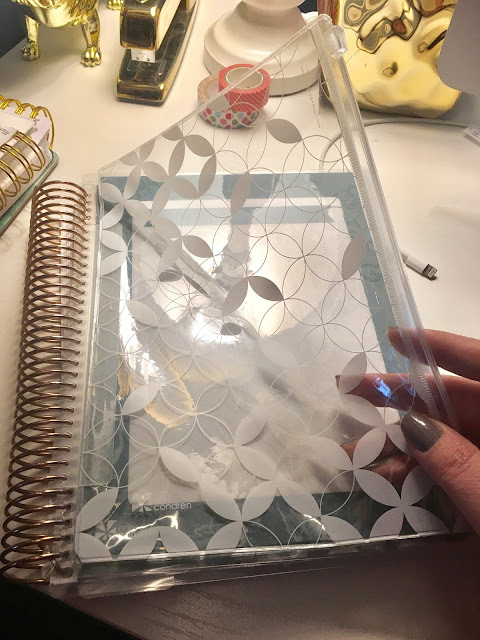 By the time I purchased all the inserts and tools for my Happy Planner, I was just about at my $50 range. 2. I found that the more I used my planner, the more worn the paper got and it began falling out of my planner. Now this was my personal experience. Yours may be totally different. I am just sharing my honest thoughts. But now that that's out of the way, let me show you how I set up my Erin Condren LifePlanner as my blog planner. Erin Condren offers two themes for her LifePlanners. There is the neutral, which is basically all black and white, and the colored options. As you can see I have chosen the neutral. I just feel like it will lend itself to decorating a little better. In the front of your planner there are these boxes. They are a new addition to the planner, and I really thought long and hard about how I could best use this space. Then it hit me! I placed the name of each month in the box header and I'm going to use it to track my most popular posts and YouTube videos each month. This way at the end of each quarter/year I can go back and look at similarities, content, etc for next years planning. Then, before every monthly layout, they have this blank note page. This is where I track all of my stats, what's in my accounts, what is on my company credit card, and what I make and spend each month. 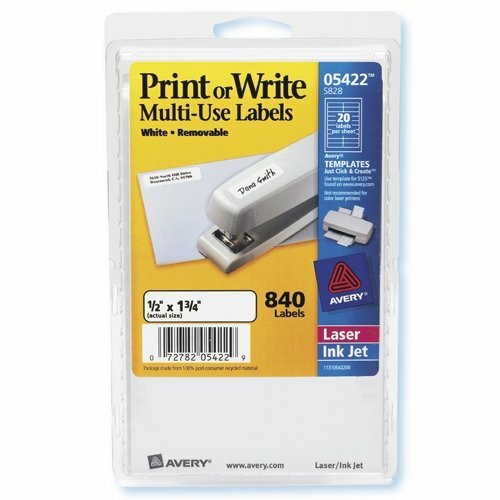 This make it very easy to keep track of things come tax time. Now for the monthly layout. This portion of my planner I like to use as my editorial calendar. I like to place my post titles on repositionable labels. The Erin Condren LifePlanner comes with a few, but I also like to use THESE Avery ones. I'll also list when any bills are due, when any payments for sponsored posts will be received, and any important dates I need to remember. Then, in the side bar, I like to list what my monthly goals are. That way as I am planning from week to week, I can incorporate them into my weekly tasks. 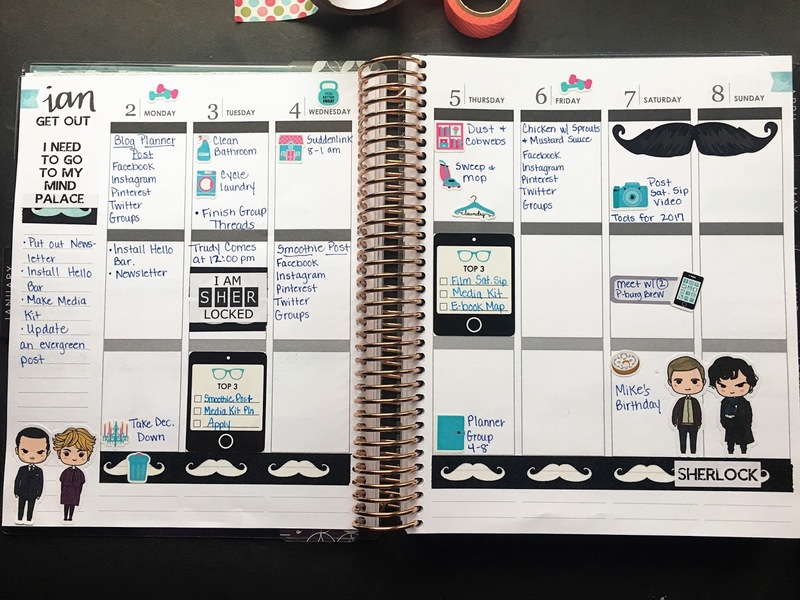 Erin Condren has three layout options for your planner. Vertical (as seen above), horizontal, and hourly. I use this as more of a to-do list each day. My main tasks go in the top box, and then it goes from there. 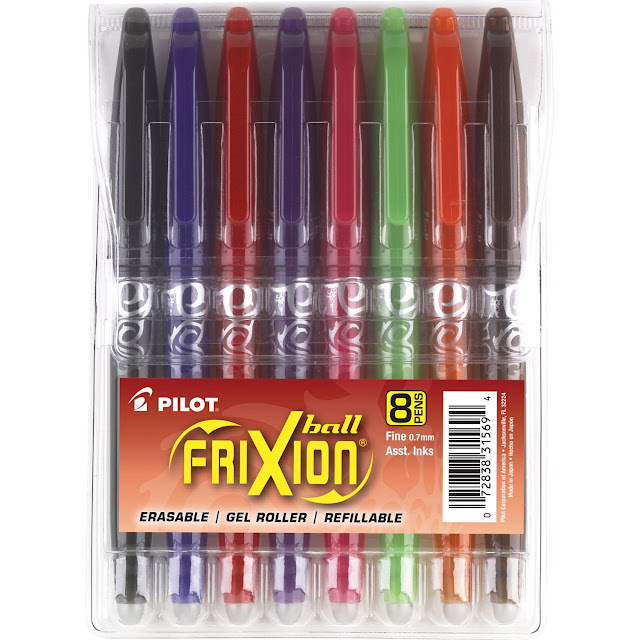 I should also mention that while I have vast collection of pens, my ALL TIME favorite pens to use in my Erin Condren LifePlanner are the Frixion Ball Erasable Pens. I love how smoothly they write and the fact that they erase clean is a HUGE bonus! 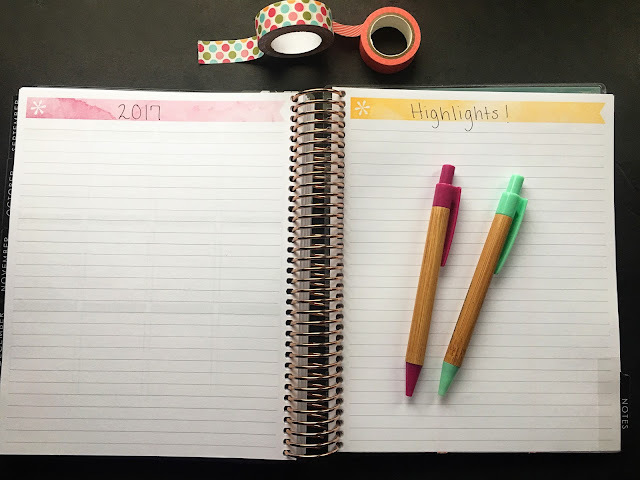 When you get to the back of your planner, you will see a "Notes" section that contains some lined paper, graph paper, and blank pages. In the front of this I like to leave a place for me to add the highlights from the year. A viral post, getting published, giveaway winner, anything that I deem noteworthy. Next I have a section for my yearly blog goals. I usually list them at the top and then add ideas for achieving them at the bottom. I also like to have a space to keep track of any and all passwords. As a blogger I tend to have DOZENS of these, so this just helps me keep track of everything in one place. And lastly I have a section for my Evergreen posts, or TOP CONTENT. This way I can work on updating any SEO, pictures, affiliate links, anything that will make these posts the best that they can possible be. OH! 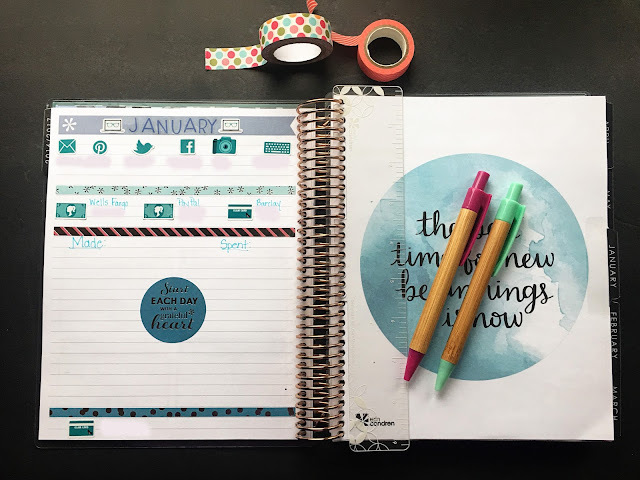 One more thing to share with you is that every Erin Condren LifePlanner comes with this plastic zipper pouch that is perfect for keeping your receipts in. So there you have it! That is how I use my Erin Condren LifePlanner as my blog planner. 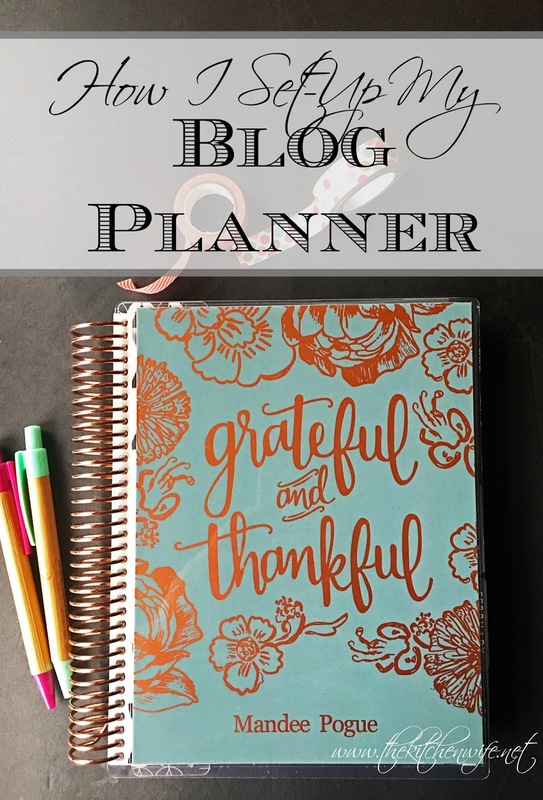 I hope you find this helpful, and if you would like to see more posts on planning, let me know in the comments below. 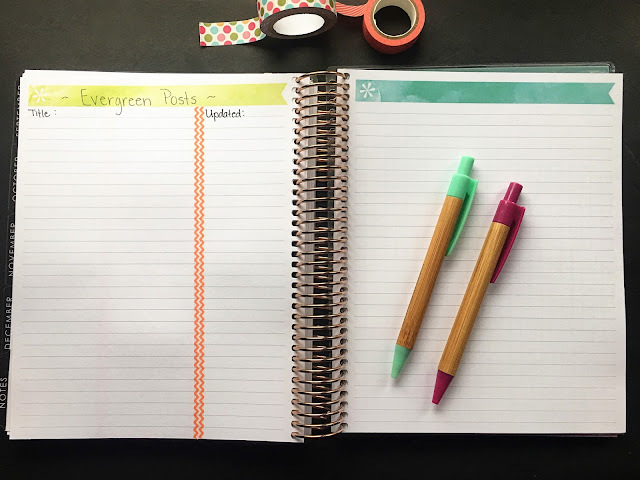 Also, if you use this link HERE you can save $10 off your first Erin Condren Lifeplanner. And hey, who doesn't want to save money!?! This is really helpful! I currently use my Day Designer as a combo life/blog planner, but I'm always looking for ways to improve it. I used the Day Designer for a stint last year while I was figuring things out for myself. *LOL* I like it a lot, and you could definitely incorporate this system in it. Very organized. Love the planner! I do mostly the same thing using my online calendar for editorial purposes. I got the hubs involved for the income/expenses, so he takes care of that for me now. It was a total mess when I was handling it and this system sure would have helped me!! Thanks for sharing! 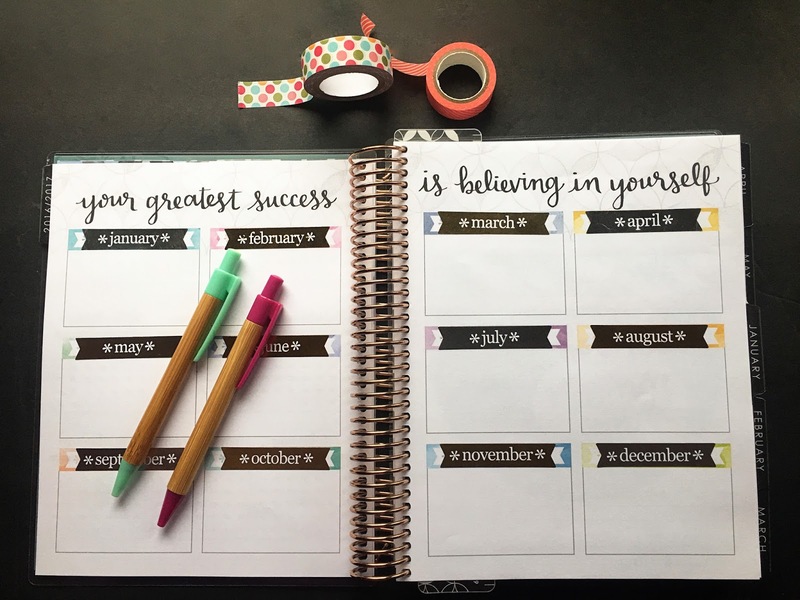 I love planners - but I just can't get all fancified like that. It's really cute and well-organized (I never did figure out what happened to the one you sent me, btw! #sadface) it's just seems like it'd be a lot for me as someone who would go nuts trying to keep it together color-wise, etc. Glad you figured out what works best for you! I get that. I have just always been an artsy person and I find the decorating part an artistic release. Obviously you don't HAVE to decorate. That is why I did really focus on that aspect. I just like having all my info in one place. It's kind of like my blog HQ. LOL And that is SO strange about that planner. :( Next time I send something I will get a tracking code. Haha, I try to be, but let's be real...I fall off the wagon from time to time. And it's never too late to get started girl!